Women had to fight and fight hard to earn their rights. The women’s suffrage movement was a decades-long fight to win the right to vote for women in the United States and the United Kingdom. It took women nearly 100 years to win that right, and the campaign was not easy. A “Suffragette” is a woman involved in the women’s suffrage movement (trying to get the right to vote). A London newspaper was the first to use the term and not surprisingly, did so in a derogatory manner. In England, women got voting rights in 1918. America needed 2 more years to decide women were people too. 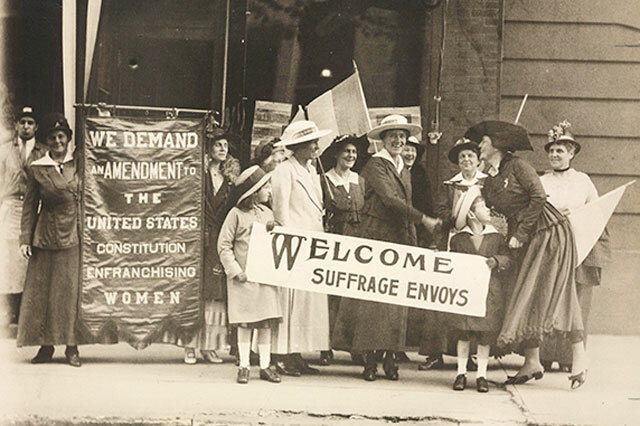 On August 26, 1920, the 19th Amendment to the Constitution was finally ratified in the United States guaranteeing all American women the rights and responsibilities of citizenship. Interesting piece of trivia: The investigation of the suffragette movement was the first instance of law enforcement using photo surveillance of persons of interest. In Celebration of Women’s History Month; We salute the women who went before us, and those in our future with this short playlist.